Ken’s top tip for aspiring authors: Write about the things that you enjoy, love and believe in – that work for you. Draw on the experiences you have and come from that personal experience. Enjoy what you are doing – don’t be concerned with the end result. 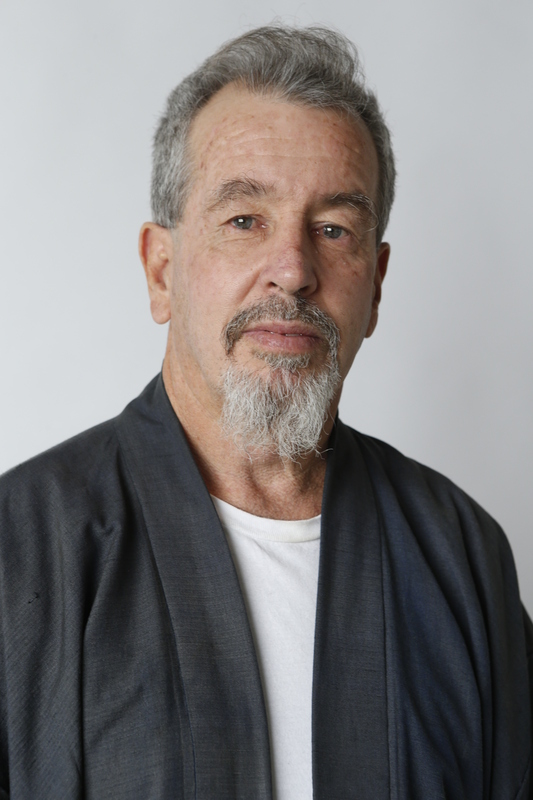 Ken McLean has been a teacher of Aikido, Ki energy cultivation, Ki Shiatsu and Macrobiotics for more than 40 years. In that time he helped thousands of people achieve greater health, happiness and success in the programs that he teaches and in his personal consultations. Through his long-time experience and studies he has distilled the essence of many ways, programs and teachings into a simple but powerful way of bringing forth our human potential. 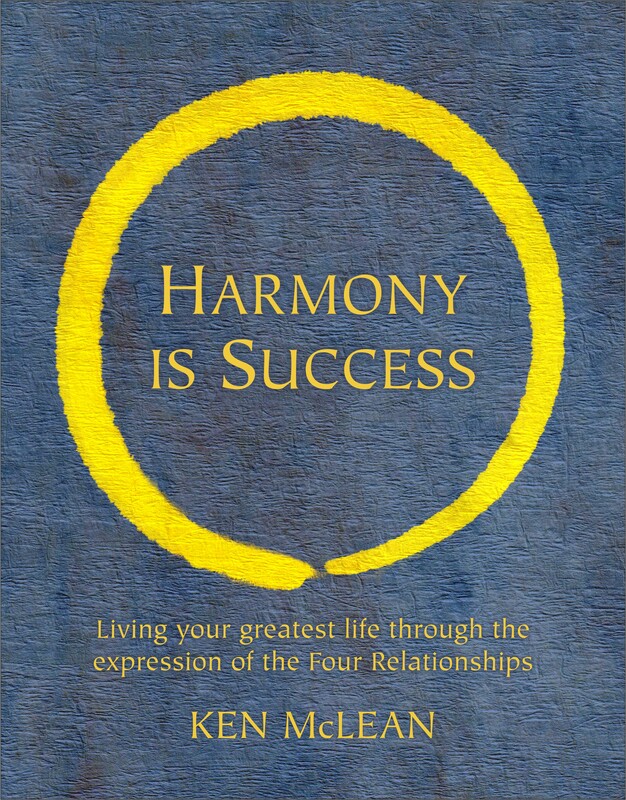 This is the at the heart of his book, Harmony Is Success. Living your greatest life through the expression of the Four Relationships. For many years Ken McLean has researched “the flow state” and how to bring that expression into all aspects of daily life. Life then becomes the practice. Ken lives in Bronte, Sydney. He directs a centre for the development of Body, Mind and Spirit called Shin Sen Dojo. He is a surfer and a musician. He has ten children and seven grandchildren. Visit him at Facebook here. Why do you write? Firstly as a way to collect my thoughts and insights into a clear, visible and discernible form. It’s also as a way of sharing the principles and understanding that have worked for me and others. Also I think writing taps into things inside you that you don’t always know are there. It is a great way to discover that hidden inner world. What would you be doing if you weren’t a writer? Being a writer and an author is a recent thing for me. For the past 40 years I have been practicing, consulting and teaching Aikido, Ki energy cultivation, Shiatsu and Macrobiotics. If I was not a writer I would probably focus more on my music, song writing and performing. Apart from this I also have a blog on my website and I have written articles in newspapers and magazines. What was your toughest obstacle to becoming published? Firstly having the discipline to write, and then overcoming the hesitation to extend the writing out into the world for others to see. Writing is also a great exercise in opening and showing who you are, so there is a bit of confrontation with the self that wants to remain hidden. What’s the best aspect of your writing life? The best aspect is the completion of something that started with one sentence like the ancient Taoist saying, “The journey of ten thousand miles began with one step”. Reaching the ten thousand miles after so many steps is pretty good. Also it is wonderful to see the ephemeral quality of ideas manifesting into something more solid and discernible. —the worst? For me it takes a strong application of will to actually sit down and write. It doesn’t come naturally to me, as I am a more outgoing physical type. Developing that discipline is challenging but worth it. It definitely develops your concentration. What would you do differently if you were starting out now as a writer? Start earlier in my life and develop a regular daily discipline. I would pass on the advice that I received from a friend who is a writer of novels. He advised me to set aside a time and place every day for writing and even if nothing comes, just to go there and sit to create that regular rhythm. What do you wish you’d been told before you set out to become an author? I really don’t know if I’d like to be told too much, as the discovering process is the enjoyable part – the entering into of the unknown. Although I think it is certainly worthwhile to talk to authors and absorb their ideas and approaches and take what works for you. What’s the best advice you were ever given? “Never give up!” If it doesn’t come in a year take two, if it doesn’t come in five years take ten. It will come. And as I mentioned earlier the idea of having a constant regular practice and committing to that is important. Human life is based on the harmonious balance between four relationships. This is the purpose and art of living. When practised consciously it results in greater fulfilment, success and the powerful and free expression of our deepest Self. The book is available here. An inspirational collection of writers’ personal stories was one of the special projects I was involved in this year. It was a privilege to be invited to share my story and when it was accepted, to know that in Writing the Dream I’m joining so many of my writer friends who continue to inspire, encourage and support me in my own creative journey. Sandi Bowie celebrated the launch with this blog post, which it’s my pleasure to share with you today. 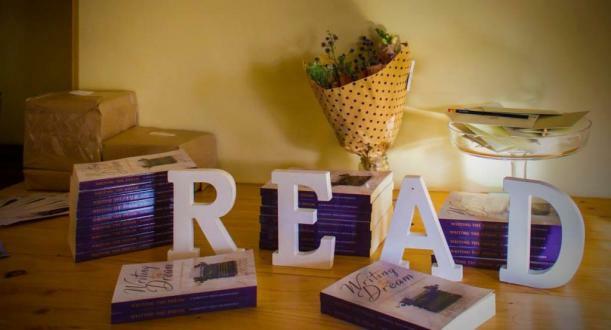 Writing the Dream was officially launched on 18th November 2016 at the Centre for Stories in Northbridge. 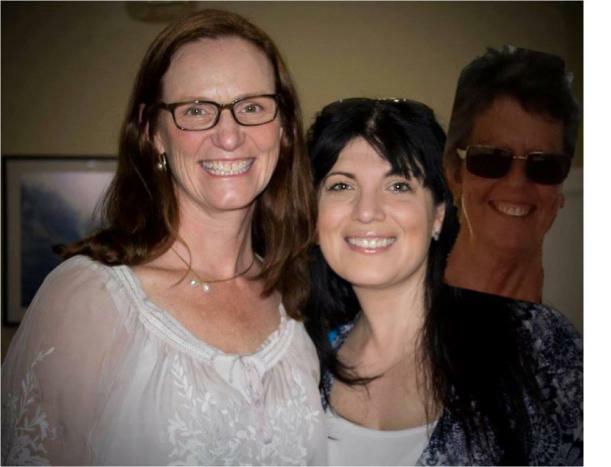 … But Jenn J McLeod, did the next best thing with this ‘photobomb’ all the way from the East Coast. Serenity Press team, Karen and Monique looked gorgeous on the night. 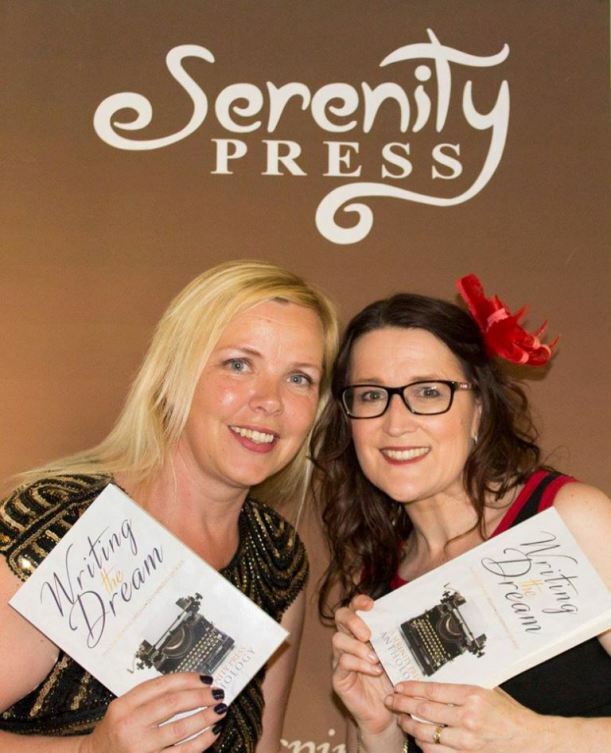 Their individual speeches and ambitions for Serenity Press are inspiring.